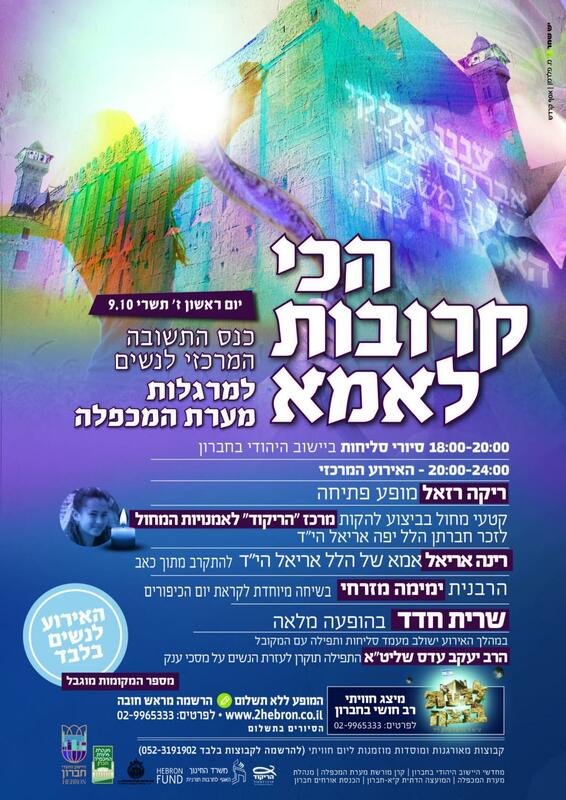 Singer Sarit Hadad, educator Yemima Mizrachi and more to participate in free event. The Hebron Women's Conference will take place during the Ten Days of Repentance. For coverage of last year's event click here. * Save the Date: Hebron Fund Chayei Sarah Mission!